“Recent discussions around Bitcoin have caused us to examine all the various parts of our financial infrastructure, which actually very few people understand. And we don’t understand it because money is all around us and people say that ‘The last to understand the nature of the water is the fish’,” Stellar Development Foundation‘s executive director said earlier this year during a talk at the MIT Media Labs. So let us be inspired by the words of Joyce Kim and be the fish that actually understands the water. “Today’s financial structure is pre-internet, although we don’t think about it that way. It doesn’t work effectively or equally,” Kim says. The decision is ours. Do we want to maintain our closed and linear structure runned by major players like Visa and Western Union? Or do we want a blockchain-inspired participatory and networked structure? 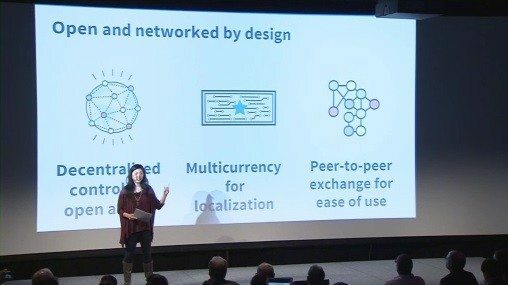 There are three major flaws that affect the traditional financial structure that could change if we were to adopt an open network. 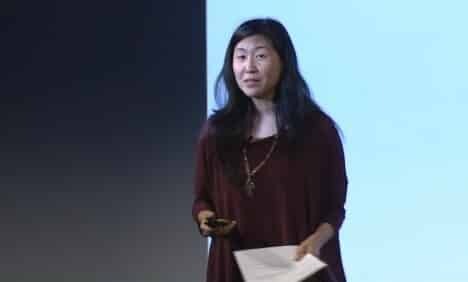 “How can you accomplish this when you only have cash and a phone in your pocket?”, Joyce Kim asks. Roughly two billion people around the world don’t have a bank account, so how can they save money? Besides banks, some countries have their own more traditional systems, but that is not the universal solution that the world needs. To allow everyone to have a savings account, we need an open network that everyone can safely and easily access. With 2.5 billion people living with less than $2 per day, it is essential to come up with a solution that allows them to deposit small amounts like 10 or 20 cents at a time. Without paying enormous fees, of course. According to the executive director of Stellar, “sending money, even if you have internet access, is still expensive. The average cost is 10 to 20 percent in fees when you’re dealing with developed world economies. For smaller amounts, usually called micro transactions, the fees are higher: you might spend $5 to send $10.” This means that people in undeveloped countries have to pay higher fees than people in developed countries. That sounds costly for everyone, but especially unfair for the unbanked. Last year alone, the cost of sending money between countries was $500 billion. 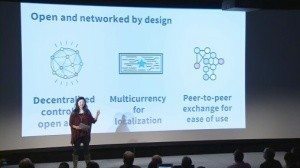 The good news is that a connected infrastructure would reduce the amount of friction and the cost of jumping from one closed network to another (like each country’s financial structure and banking industry), making remittances much easier and cheaper. Credit doesn’t work in the same way across the world. “If you only had your phone and cash, how would you prove your creditworthiness to someone you didn’t know?”, Kim asks. Microfinance organizations have found a networked way to make this work by lending to a group of people in the same village that know each other. The fact that someone is recommended by a relative or a friend that is also borrowing money from the same organization makes them less likely to simply take the money without paying back. Still, this is not the solution we are looking for in a participatory system. The world needs a system that is able to provide right-sized credit to everyone and peer-to-peer lending is the answer. Joyce Kim’s full presentation is available here.